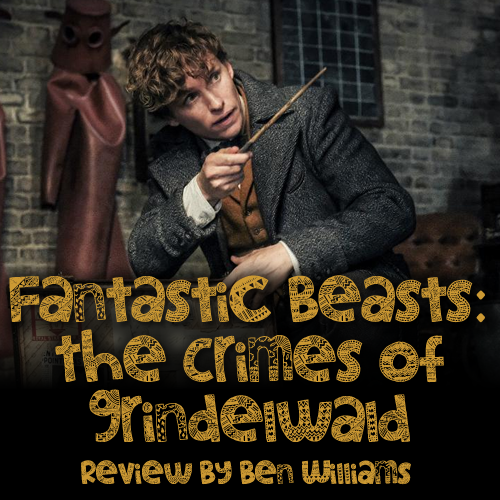 Since the debut of 2016's Fantastic Beasts and Where to Find Them, many have been questioning the quality vs quantity ratio that these Harry Potter spin-off prequels will uphold. This has especially been the case since novel author and film writer, J.K. Rowling, confirmed that there is now to be five instalments instead of the previously stated three. Despite Fantastic Beasts: The Crimes of Grindlewald containing some of the most magical effects the franchise has ever seen, along with a performance sure to resurrect Johnny Depp's career, the film is nothing but misadvertised franchise filler, being the worst to come out of the entire cinematic Harry Potter universe. The film opens on what is arguably the film's second-best scene, where pre-Voldemort dark lord Gellert Grindelwald escapes his prison custody to start his standard quest of evil in taking over the world. 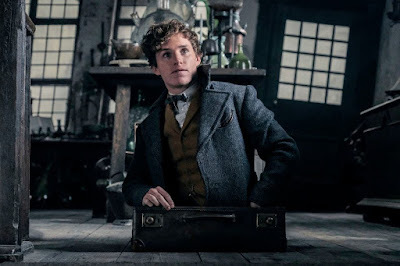 Meanwhile, protagonist Newt Scamander, who is banned from international travel due to his mishaps in the last film, finds himself in Paris with his adorable nifflers, trying to find his previous love interest. On top of that, there's Credence, the super-powered wizard man who can explode now and again. He's on his own generic quest to discover his origins. On top of that, Jacob, the muggle baker, is trying to make up with his Witch girlfriend, Queenie, who is confusingly mad at him for an unimportant reason. Does all of that sound muddled to you? Well that's nothing. Determined to get anyone new to the series caught up to speed, the film throws scenes at you that are literally all exposition, trying to explain every little detail about the story and the world possible. 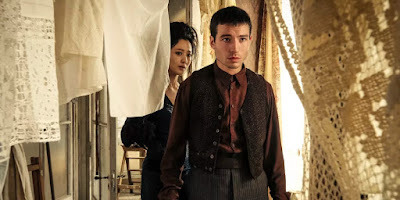 As these segments of boring anchor down your excitement, not even Eddie Redmaine's adorable portrayal of Newt Schamander can lift your spirits back from the dull dread that is watching any scene with Credence. Taking up massive amounts of time, Credence is trying to find out who his birth parents are, after suffering with serious mummy issues in the last film. Not only does this arc become incredibly convoluted, but it's given far too much attention considering its significance within the story. It especially doesn't help that the character of Credence, played by Ezra Miller, has the personality and grace of an emotionally dull cabbage. 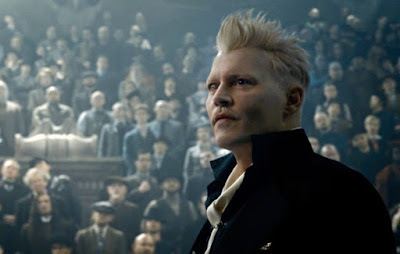 Even though it's named after the Johnny Depp-portrayed villain, Grindelwald's screentime makes him more like a side character given the film's length. This is the real tragedy as this is the best we've seen Depp in years. When he walks in, he steals the room. When he talks, you hang on his every word, almost feeling a chill down your spine. His charisma is the kind that gains followers out of loyalty instead of fear. It can only be imagined how effective his performance would've carried the rest of the film, with Grindelwald mainly being confined to the beginning and end. Jude Law doesn't add anything new to the character of a younger Albus Dumbedore, but he successfully carries himself as a gentle yet charismatic reminder of why we love the future Hogwarts headmaster so much. As much as we adore DumbleLaw smiling and dashingly pulling off a grey waistcoat, his involvement in this story has also been misadvertised, with any of his scenes being mere teases for what's to come in revealing the past and furthering of things along. There are enough standard Harry Potter-isms and easter eggs to pull back the interest of franchise fans, immediately followed by losing it again when they've realised it's all for the sake of trying to distract from a mundane plot. All too many times you find yourself thinking something along the lines "hey, it's that thing I like from a much better film!". The most laugh-worthy example is Nagini, Voldemort's pet snake from the Harry Potter series. 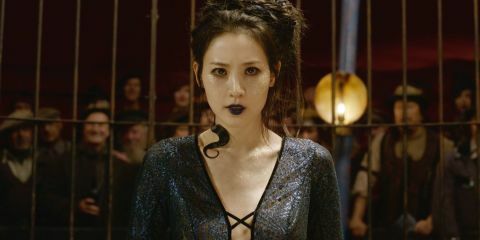 For some reason that nobody asked for, Rowling decided to rewrite the snake's origin by making Nagini a human woman that was afflicted with a blood curse, gradually making her reptile transformation permanent overtime. Being nothing to do with the actual plot for the rest of the film, we of course spend more time with this so-so actress (not even worth googling her name) playing a snake lady than the film's titular villain. What's even more hurtful for fans of decent writing is when you hear teases of some of the most interesting Harry Potter lore, it gets immediately swept under the rug to be saved for the third instalment. In the novel of Harry Potter and The Deathly Hallows, the details of Dumbledore and Grindelwald's relationship were revealed, including the duel which occurred when the latter turned to the dark side, resulting in the accidental death of Dumbledore's sister, Ariana Dumbledore, which Dumbledore carries with him for the remainder of his life. With this relationship of love and pain being so significant to this prequel series, you'd think this would be at the forefront, at least involving a first reunion confrontation between Dumbledore and his friend-turned-nemesis, but no, because this series needs to be three more films long. Whilst these exclusions could be excused with a believable reason in the writing, this is not the case in The Crimes of Grindelwald. 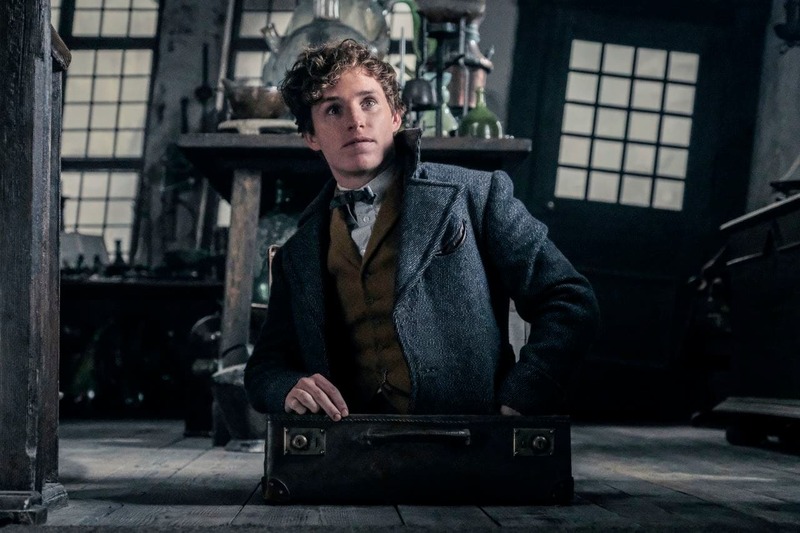 A MacGuffin plot device, something that can solve a story's crisis with little to no narrative explanation, is carelessly thrown in to be a literal excuse as to why Dumbledore can have no interaction whatsoever with Grindlewald, obviously resolved at the end to be sure you reserve your seats for Fantastic Beasts 3. 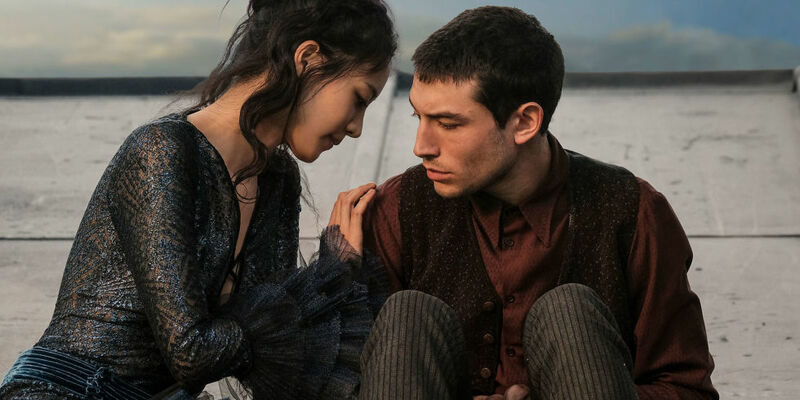 Well hey, who wants to see a naturally formed emotional climax of a film's two most interestingly complex characters when Credence can have some stale adventures with a snake lady instead? The answer is "everyone". Fantastic Cash Grab is the cinematic equivalent of junk food, which is a generous way to put it. Instead of enriching this series with hearty, nutritionally lean story and well-earned character progression (good for strong bones), you're left bloated by the factory-grade filler that's supposed to keep you going for another two years, before you see the unfolding of the plot you actually paid to see. At least with junk food you regret it after you've finished, while with this film you'll regret it half way through. You'll see plenty of Tumblrites posting about how much they loved this film despite not actually knowing what was going on for two hours. But this is J.K Rowling's and Director David Yates strategy - if they throw enough references to Harry Potter lore at those kinds of viewers, they'll eventually desensitise them into enjoying what is effectively a cinematic lobotomy with a franchise label slapped on. But don't forget that these are the type of fans who see Suicide Squad's Harley Quinn as their role model.